Lois Takahashi, professor of urban planning and interim dean at the UCLA Luskin School of Public Affairs, has been installed to a two-year term as president of the Association of Collegiate Schools and Planning. She was previously vice president/president-elect. A consortium of university-based programs offering credentials in urban and regional planning, the association seeks to strengthen the role of planning education in colleges and universities through publications, conferences and community engagement as well as through participation in the accreditation process. A member of the UCLA faculty since 2001, Takahashi is also is also a professor of Asian American studies and associate director of the University of California Asian American and Pacific Islander Policy Multicampus Research Forum. She was serving as associate dean of research at UCLA Luskin when she was named interim dean in August, succeeding Frank Gilliam. She has also served as chair of the Department of Urban Planning (2011-13) and chair of the UCLA Asian American Studies Center’s Faculty Advisory Committee (2010-13). 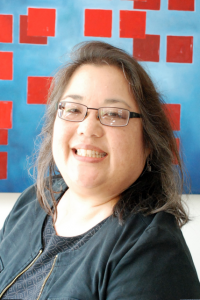 Outside UCLA, Takahashi is a board member of the Western Center on Law and Poverty and a member of the editorial boards of the Journal of Planning Education and Research, Journal of the American Planning Association, and AIDS Education and Prevention. A National Institutes of Health-funded scholar, Takahashi does research on public and social service delivery to vulnerable populations in the U.S. and Southeast Asian cities, HIV/AIDS, homelessness and environmental governance. She received a Ph.D. in urban planning from the University of Southern California, an M.S. in public management and policy/architecture from Carnegie Mellon University, and an A.B. in architecture from UC Berkeley.